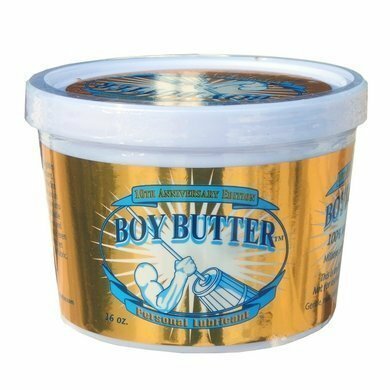 Boy Butter Gold Label, 10th Anniversary Edition in a shiny and beautiful gold metallic label with the classic original coconut oil based formula first created in 2003 but in a gorgeous collectors item look in a 16 oz tub. In addition to the label"s opulence is that a portion of proceeds of Boy Butter Gold Label goes to global reforestation projects worldwide, so it is just as green as it is gold. If you have any questions about this product by kwanjai shop, contact us by completing and submitting the form below. If you are looking for a specif part number, please include it with your message.